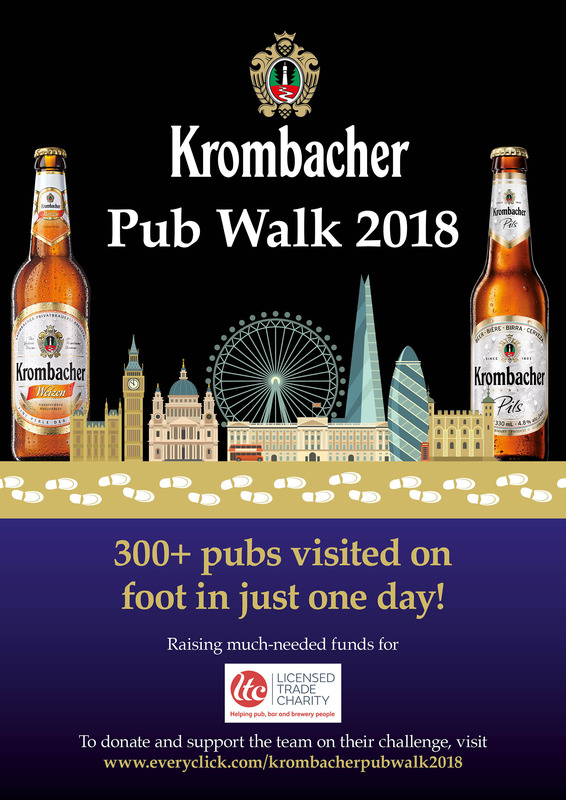 Germany’s number one premium beer brand Krombacher has announced an inaugural Krombacher Pub Walk campaign, which is looking to increase awareness about the plight of British pubs and in the process raise money for the Licensed Trade Charity. The mammoth challenge taking place in London will see a Krombacher team cover in excess of 30 miles as they aim to visit 300 pubs on foot in 24 hours. The fundraisers will begin on Friday 16th November and will be raising money in aid of the Licensed Trade Charity, which for the past 200 years has been helping people who work or have worked in pubs, bars and breweries when they are in need. Research by the Campaign for Real Ale revealed earlier this year that around 18 pubs are being forced to close in the UK each week and the organisation is calling on the Government to do more. “Fundraising for the Licensed Trade Charity can make a real difference to people’s lives. The grants that we provide to pub, bar and brewery people in times of hardship can cover such items as rent and deposits for accommodation, bills and furniture. All money raised helps us to support those in need”. In the last two years, Krombacher been extremely active in supporting and raising money for pub causes around the UK. Over £2000 has previously been raised to date for Pub is The Hub. 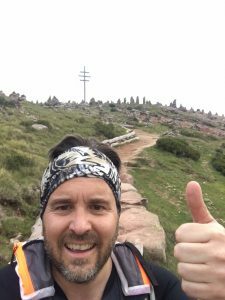 In 2016, two UK team members ran the Krombacher sponsored Frankfurt Marathon and Stephan Kofler walked the SÜDTIROL SKYRACE for charity – a 69km, 13,000 ft climb which he completed in 16 hours and 55 minutes. The money raised has been used on a variety of pub projects including providing the Stoke Canon Inn near Exeter with a projector and screen for community events, plus assisting the School Boy Inn in Norton, South Yorkshire, with the launch of a community shop. Combining time-consuming methods of the traditional German brewers with state-of-the-art technology, the brewery only uses the best, 100% natural and wholesome ingredients including the finest two-row summer barley, Siegel hops from Hallertau and its own specially cultivated yeast.